Another grouping within the ANC has emerged to try to save the soul of the embattled liberation movement and arrest electoral decline. By Tshidi Madia, News24. 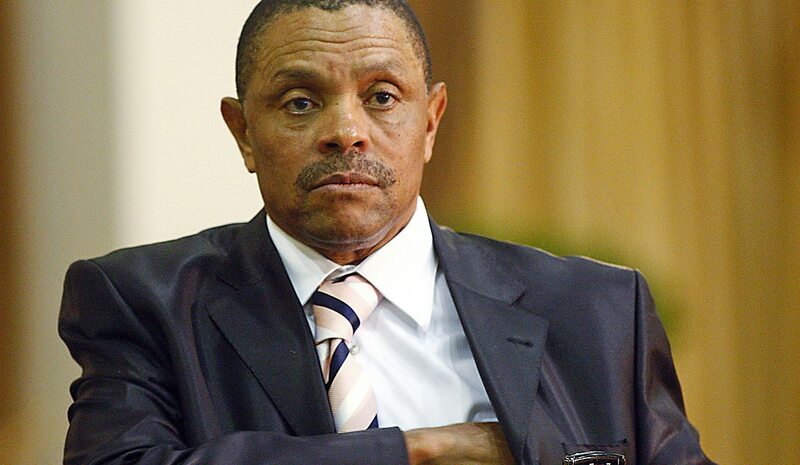 “We are standing up and saying ‘not in our name’,” former chief of the South African National Defence Force and general in Umkhonto weSizwe (MK) Siphiwe Nyanda said. Nyanda is a member of the steering committee of a group of former senior MK members – the ANC’s liberation army. Other members of the steering committee include Bheki Cele – also a deputy minister of agriculture, George Rasegatla and Tony Yengeni, who were absent during a media briefing held in Johannesburg on Monday. The group claims it represents a number of military detachments of MK including Luthuli, June 16 Isandlwana and internal operatives. They are planning to convene a council meeting on December 17 to discuss the challenges facing the ANC, the Veterans’ League and the Umkhonto weSizwe Military Veterans Association (MKMVA), led by Kebby Maphatsoe, and the social and welfare needs of former military veterans. Nyanda told journalists that Maphatsoe had been invited to the council meeting and they had planned to meet with him before the press conference. However, the meeting did not take place. He said the purpose of the council was to bring former members together to assist in challenges facing the ANC and South Africa. “It cannot be that for many who were in the trenches their grandchildren will say ‘you were there and the ANC died in your hands’,” he said. Deputy correctional services minister and Former MK member Thabang Makwetla said the ANC may have lost the moral high ground as it no longer holds ideological sway. He said in the past when the ANC spoke people followed, however these days it was followed by many questions. “We are a political army before we are a military army, we never anticipated that in our lifetime we would see the organisation deteriorate,” Makwetla said. Another former member of the liberation army, ambassador Thenjiwe Mtintso, said their actions were aimed at rebuilding unity within the nearly 105-year-old liberation movement. Nyanda said they were shocked to hear some saying the ANC was terminally ill and would suffer a natural death. “We therefore say although it is ill, it needs to be corrected, it is not terminally ill, we have a duty to do everything in our power although we have left it till late,” Nyanda said. He dismissed suggestions that President Jacob Zuma was to blame for all the party’s problems, saying there was no discussion within the group about whether he should step down or not, instead they had focused on unity. He did however say the challenges facing the ANC were precipitated and came to the fore with the current leadership. “How the leadership is selected; we need to address it, the slates were there in Polokwane and even before that, let’s grapple with that,” said Nyanda. He said the council meeting will also look at the state of the MKMVA, which is an association without voting rights on matters in the ANC unlike the veterans’, youth and women’s leagues.